Event professionals, producers and planners around the world have always found The Special Event (TSE) conference to be an invaluable resource for education, networking and creative solutions. Since 1985 professionals in the field of special events have mingled and learned from an array of industry leaders sharing their knowledge. This year, TSE will be held in Nashville, Tennessee at the beautiful Gaylord Opryland Resort and Convention Center. From January 8-10th there will be over 100 educational sessions, an exhibit floor and six showcase events. We’re proud to announce that Amusement Masters will be in attendance and exhibiting on the tradeshow floor with many of the leading companies in our industry. 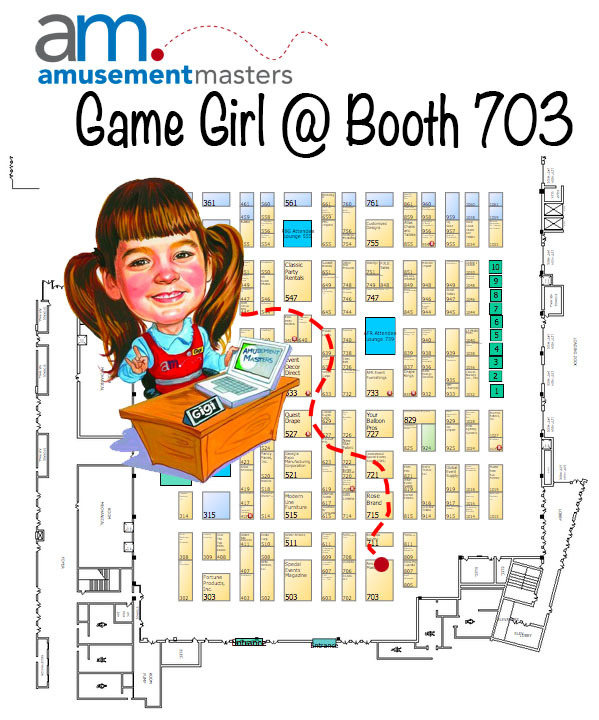 For those attending, you won’t want to miss visiting and playing with us at booth #703. By visiting the booth attendees can register to play our new online and interactive “Hit The Hero” game – a CLOUD BASED interactive game. Once registered all scores are tallied and tracked each time an attendee plays throughout the conference. On the final day – one hour before the exhibit floor closes – we’ll announce the person that has the highest score – this winner will be taking home their very own Kindle Fire! If you’d like to schedule a time to speak one-on-one and learn about our nationwide amusement and gaming services while we’re at TSE email Kelly Smink. Or to find our booth simply visit: TSE Floor Plan. See you in Nashville! The Special Event is the world’s premier conference and trade show that is directed at the top decision makers and trendsetters in the event planning industry. The event professionals that attend The Special Event work in a variety of markets, whether they are sporting event planners, caterers designing social events, wedding specialists, producers of corporate meetings or creators of extraordinary extravaganzas. The conference mission is to offer experiential education and resources to the Event Planning Industry by offering over 100 event-focused conference sessions, an exhibit hall jam-packed with event products and services, a Hands-on-Hundred learn-as-you-go program, and a week full of showcasing events. Along with the tradeshow and eight education conference tracks, The Special Event hosts six over the top showcasing events. For more information about the 2014 conference or to register and attend visit The Special Event.